And news from FleishmanHillard, Health Net, and Shine. NEW YORK: Claudia Gioia will join Hill+Knowlton Strategies on April 1 as head of its Latin America region, reporting to Americas president and CEO Mike Coates and overseeing six markets. 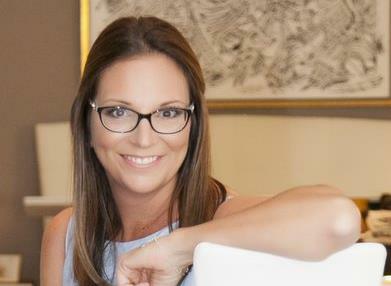 She previously worked at Burson-Marsteller as EVP of its Miami office and leader of its US Hispanic discipline. Prior, Gioia was Burson’s Innovation and Technology Practice chair. She is taking over the role from Antonio Tamayo, who is retiring. ST. LOUIS: The National Association for Female Executives has named FleishmanHillard as one of its "Top Companies for Executive Women." It is the sixth straight year the Omnicom Group firm has made the list. LOS ANGELES: Health Net has named Peter O’Neill as VP of investor relations and corporate communications, effective on Tuesday. It is a new position. He previously worked at UnitedHealthcare of Nevada, Sierra Health Services, and WellPoint Health Networks. O’Neill will be based in Woodland Hills, California, reporting to James Woys, chief financial and operating officer. TORONTO: Orbis Canada has selected Shine to manage its Plane Pull for Sight campaign, which will include events in Toronto and Vancouver. The firm will handle media relations and social media and create strategic partnerships. The agency’s goal is to raise more than $100,000 for the cause. WASHINGTON: Gary Duke has joined Wild Blue Yonder as partner and chief talent officer. He will oversee the firm’s consulting and training services for ad agencies, PR firms, and other creative services shops.